I have been pretty quiet lately as I try to sort out myself but here is a little update on where I am at (if you care). 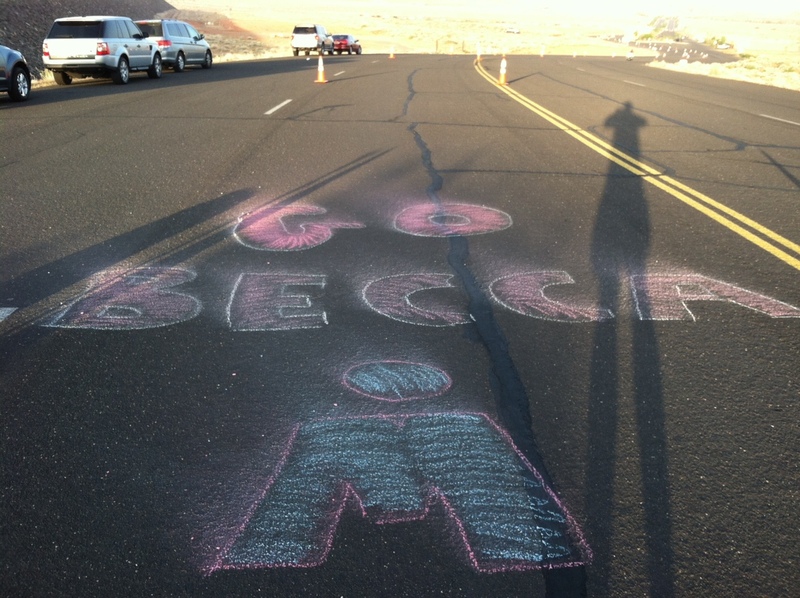 I am doing Vineman 70.3 this coming up weekend. I signed up for this race way back in November and I had no idea what my fitness level would be when the race finally arrived. The bike crash then IT band issues really cut into my ability to train, as well as the recovery from my first full Ironman in May so I am nowhere close to where I would like to be. I had originally hoped to make some significant gains on my 70.3 time and MAYBE even qualify for the 70.3 championship in Vegas; that is not my goal any more. Now I just want to enjoy the day and hopefully finish under 6 hours. Last year I finished in 5:32 and there is no way I will do that this year. Running wise I think I have turned the corner. My running has been off since January. I attribute it to some weakness in my glutes that started last August but was exacerbated by trying to change my form to become a mid/fore foot runner in December. Whatever it was, I think I am finally over it. I ran four times last week for a total of 19 miles and the last run on Sunday was completely without ANY IT band knee pain. I am really encouraged by this and just can’t wait to start doing some big running again. Thanks to the advice of a friend I am going to take a different approach to my lead up training before Boston. I am going to train for a 10K in October and a half marathon in December. I have never done a training program for those distances and I plan on using the FIRST program (lots of speed work ughh!). I still have more Ironman ambition. I am going to Vancouver next month to check out the Ironman Canada course as my possible Ironman in 2013. I feel that I wasn’t playing with a full deck when I did St. George and I know I can do better. It took me 5 marathons to finally feel comfortable at that distance so for me, nailing an Ironamn on my first try wasn’t going to happen. I want a few more shots at it. Personally, life is moving along fantastically! The last year has been full of change and it hasn’t all been easy. Finally things are moving in the right direction and I am so excited for the future. I hope that by taking the rest of 2012 easy to build myself back up, 2013 will be one of my best years yet! You’re inspiring as always! Smart training plans. Go get it! I have been thinking of you every time I have pain free running!